“They are making a new He-Man movie!” I squealed aloud to no one in particular. Then I realized I was in a coffee shop, and some people (obviously too young to remember the classic 1987 Masters of the Universe film starring Dolph Lundgren) were staring at me. By the power of Grayskull, and Sony, a new movie is happening. The new film, based on Mattel’s iconic line of toys (and subsequent animated series) from the 80’s, will be written by David S. Goyer (Batman Vs. Superman, Man of Steel, The Dark Knight). Per Variety, Adam Nee and his brother Aaron have been chosen to direct the film. Goyer was going to take on directorial duties, but dreaded scheduling conflicts will prevent him from helming the project. You may know the Nee brothers from Band of Robbers, or The Last Romantic. Or, like me, you may just have The Knights Who Say Ni stuck in your head yet again. He-Man takes place in the land of Eternia (or, if you have budget restraints, Earth). Think Conan the Barbarian, but he’s riding a giant tiger named Battle Cat (or not, if there are budget restraints), and fighting a bad guy with a skull head (Skeletor). 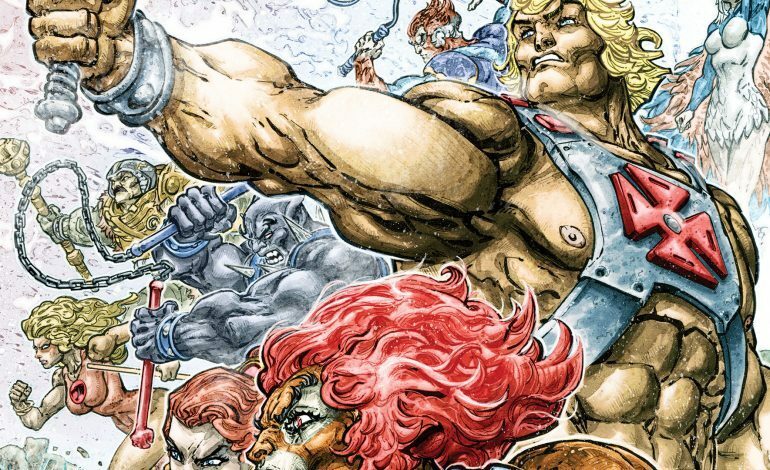 He-Man has friends, such as Man-At-Arms and Teela, and he may spawn a spin-off starring She-Ra that appeals more to girls if he has a successful foray into film. But now I’m getting ahead of myself. Sony is hoping to release the new Masters of the Universe, aka He-Man 2: Electric Boogaloo, on December 18th, 2019.